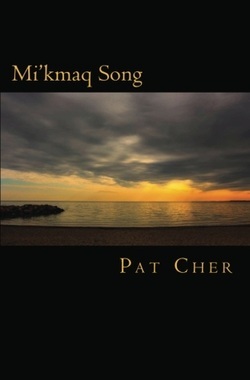 Pat Cher holds a Master’s Degree of Education with a concentration in Curriculum Development from McGill University. A native of Bathurst, New Brunswick, she now lives in Ottawa. She has also lived in Montreal and in Whitby Ontario. 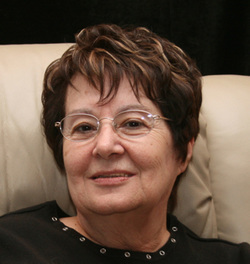 Pat is a retired teacher interested in writing, her heritage, books, cookbooks and in stories for children. She also has a keen interest in web design. Pat also paints, watercolour and sometimes in acrylics when she can find the time. It began with a dream. "Come follow me." Gheeju, her Mi’kmaq grandmother, urged. Maggie didn't realize that to follow would mean plunging into uncharted wilderness beginning with the sighting of a phantom ship. It became a voyage of daring which taxed her endurance as well as her soul. Captivity, honor, ancient courtship rituals, and a new spirituality root her in a culture, Gheeju had held dear, but it is more than Gheeju had taught, much more. Maggie captured by Abtatuk , a Mi’kmaq, finds her life turned upside down as she experiences the Mi’kmaq way of life; their legends, the Little People, the neighbouring Penobscot. Time and perils change her relationship to Abtatuk. Will Maggie find her way back home and if she does, will she want to return?